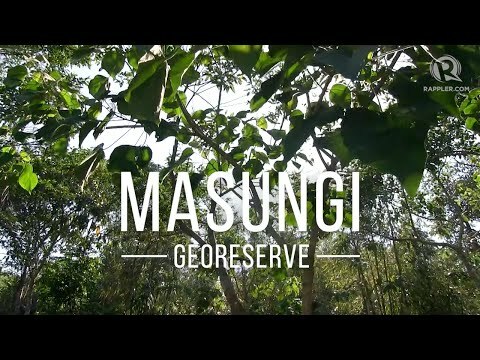 The georeserve model is a trademarked innovation demonstrated at the Masungi Georeserve conservation area in Baras, Rizal, Philippines. It has been proven to provide sustainable income for the management of the 430-hectare local conservation area through innovative tourism and engineering. Inspired by the UNESCO Geopark Model, the georeserve is a smaller-scale initiative in the Philippines encompassing the three pillars of conservation, education/research and sustainable development, plus design and engineering that enhances the touristic value of an area in a low-cost and low-impact way. 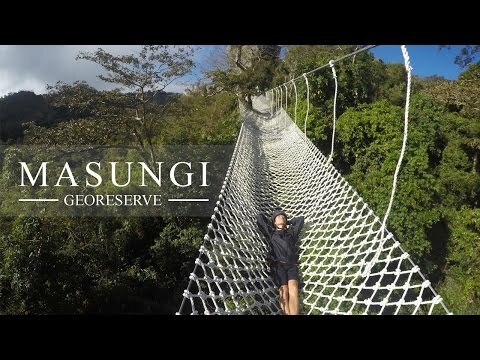 The Masungi Georeserve hosts more than ten of these engineering marvels that enhance the natural character of the area: these include the Sapot (a web-style viewing platform that uses biomimicry), the Duyan (dubbed as the longest hammock in the world) and the Sawa (a rope bridge that serves as a rapid exit for visitors). Environmental Challenges addressed: Systematic threats such as quarrying, mining, land speculation, unregulated development and illegal logging are thwarted. These are persistent threats since the conservation area is close to the highway and only an hour away from Metro Manila. Social Challenges addressed: We address the lack of jobs in the area besides contractual construction jobs. We address the lack of skills and education of the populace through trainings on leadership, first aid, customer service, environmental education, communications, as well as enterprise training on food and crafts. We address the lack of safe and drinkable water through our sanitary programs, where to date we have donated more than 200 water filters to households through the help of our partners. Economic Challenges addressed: We address the lack of financing for protected areas in the Philippines. The policy enforcement maintains the cleanliness, integrity, serenity, and natural character of the area by ensuring human disturbance is stopped before it could happen. 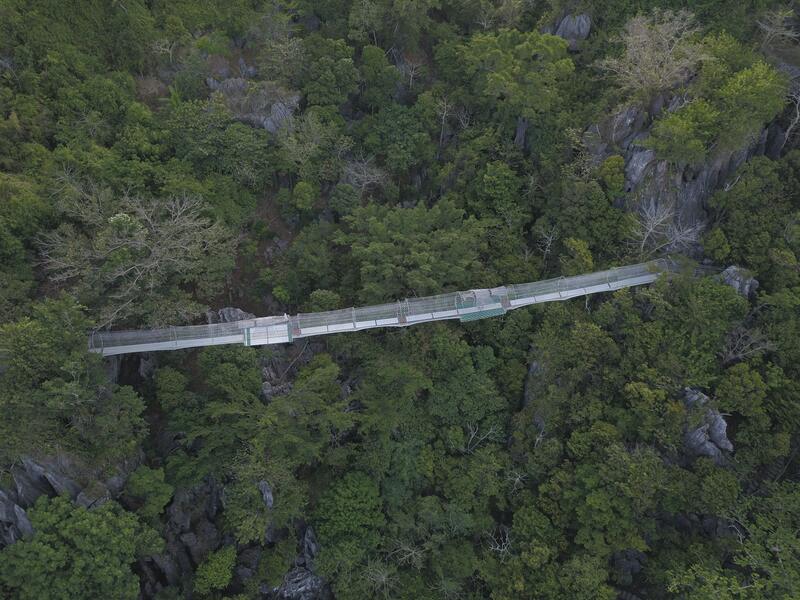 On the other hand, the design of mindful engineering marvels ensures human interaction is controlled and planned to help avoid disturbance to any sensitive areas in the conservation area. Together they ensure that the cleanliness and integrity of the conservation area is protected, thereby ensuring long-term tourism value and income from satisfied visitors. Environmental Impact: After 20 of restoration from illegal logging, quarrying & land speculation, the georeserve now hosts more than 400 species of wildlife, many of which are rare & endemic to the Philippines. This includes the Giant Cloud Rat and Civet Cat, the Jade Vine and Hoyas, and numerous endemic birds, insects and amphibians. 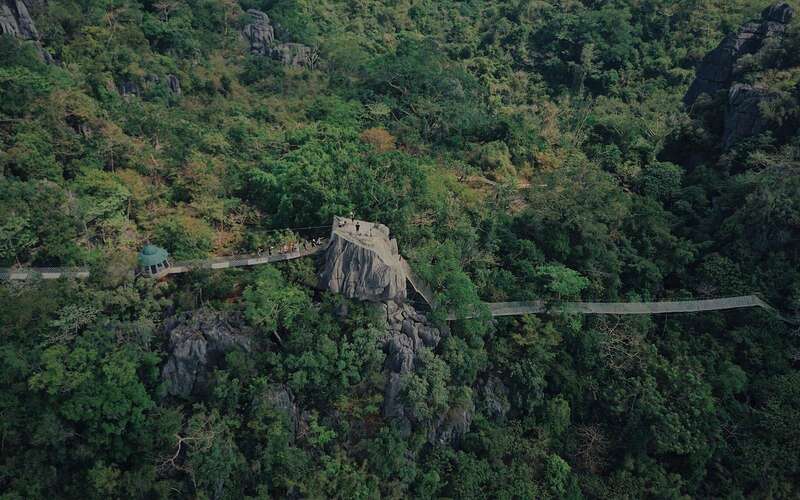 The 10-kilometer limestone formation of Masungi has been protected from constant quarrying and mining threats. In 2017, the Department of Environment and Natural Resources expanded the conservation area from 430 ha to more than 2,700 ha surrounding the georeserve. Social Impact: The georeserve now employs over 100 people, many of whom are local and several are part of the indigenous community. 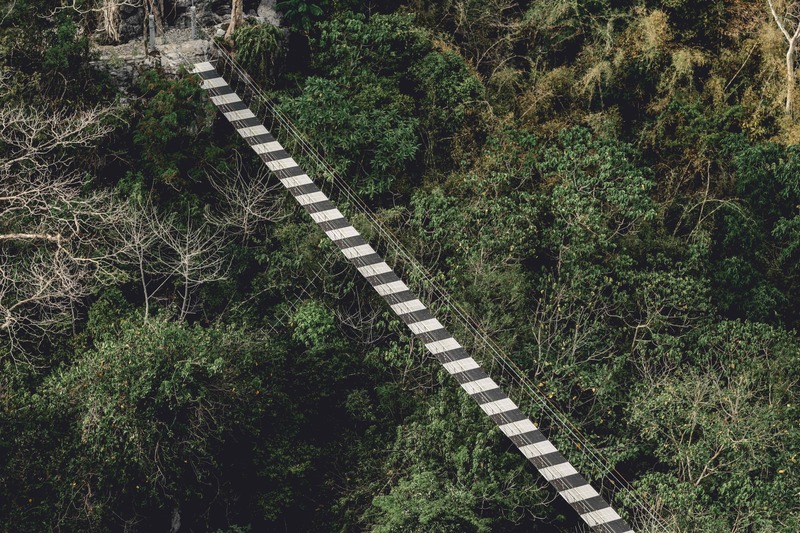 Previously illegal loggers and charcoal makers themselves, these park rangers are now the ones taking care of the forest and guiding people through the trails. 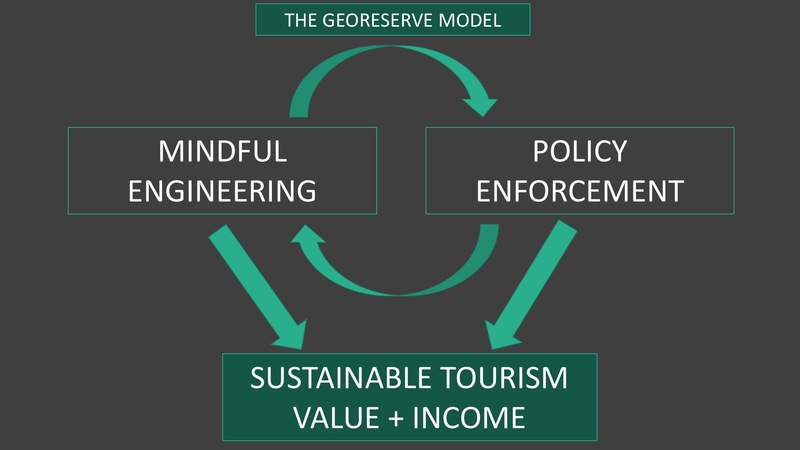 Park rangers who join the georeserve double their income from the average income in their villages and receive social, health and housing benefits. 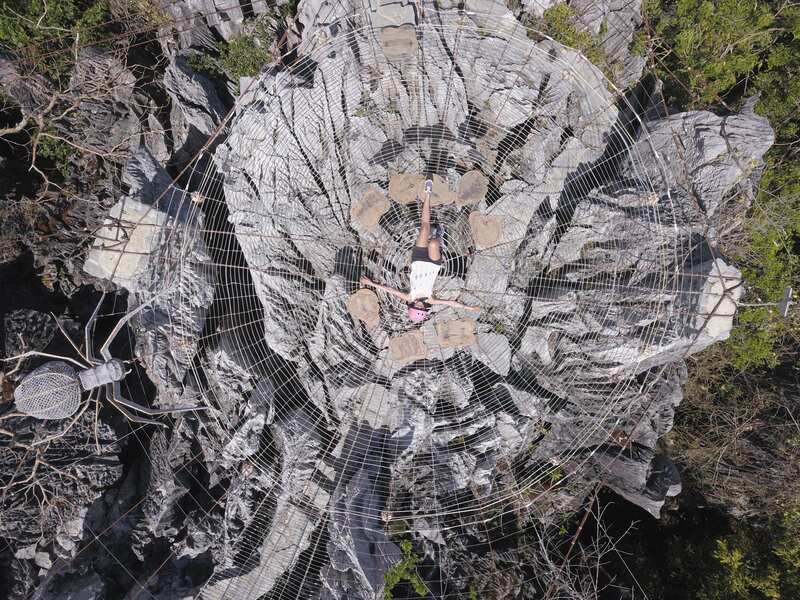 Economic Impact: Thousands of visitors have already visited the georeserve since its opening on December 2015. This gave rise to the opening of food and drink establishments, lodging, as well as other community-managed nature hikes within the area. The total economic impact for the local economy can be estimated at more than $1 million dollars per year. The story of restoring our forests is already a colorful one. 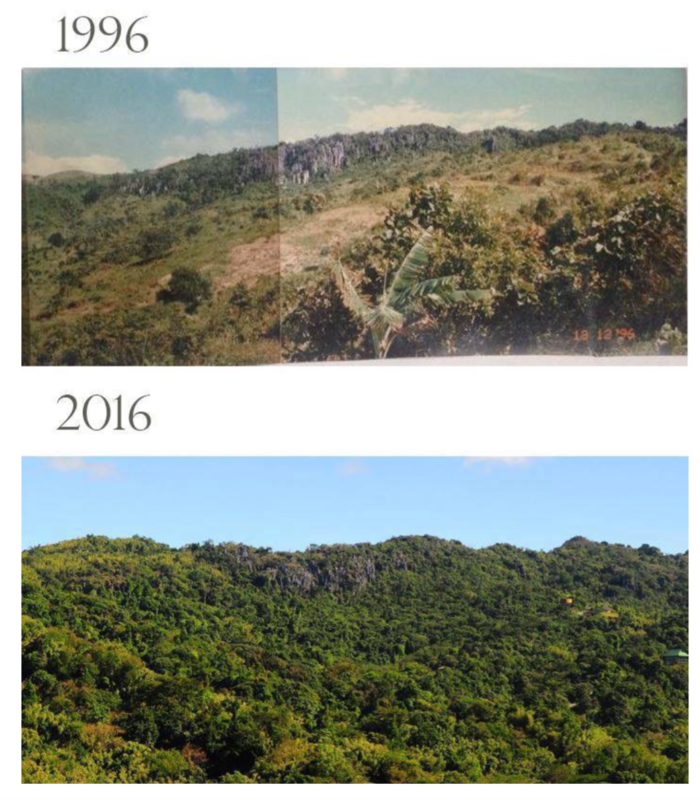 It is a product of 20 years of painstaking and selfless reforestation, as we used our very limbs and resources to protect our little piece of paradise against quarrying, loggers, and other destructive interests. However, times have also changed. Despite progress in restoration, increased accessibility today meant bigger threats and bigger interest in destructive uses. This made us realise that our efforts needed to be more financially sustainable, and the place needs to be understood and appreciated by an audience bigger than our small group of stewards. The solution: to allow people inside. There were three problems s in doing so: (1) mountains in the Philippines are being destroyed because of overtourism (2) there was a general preference for adventure activities over educational ones; and (3) there are many aesthetically similar karst landscapes nearby. 1. Visitor facilities allow guests to prepare adequately and before entering the trail. These help reduce human impact during the 4 hour trail and is a subtle showcase of the area’s unique feature such as bamboo and discarded snail shells. 2. Iconic & unique trail stops allow even beginner hikers to take rests along the hike. It also piques up their interest in natural elements that were previously unnoticed or unaccessible. With the help of creative engineering practices, not only are we able to conduct tourism activities to sustain the area within its carrying capacity, but we were able to create pride of place, a better understanding of the areas's web of life, and provide direct sources of livelihood for over 70 community members in a remote location with limited livelihood opportunities.